My post this morning about the suspected demise of the much-loved Tony’s Pizza created a level of interest like this blog has never before seen. The amount of sadness mixed in with an overall appreciation for this Bayonne landmark was incredible. Well, leave it to the You Know You Grew Up in Bayonne When …. Facebook page to get to the bottom of things. It seems that Tony’s is merely undergoing a renovation and will be reopening shortly. The outpour of concern eventually got to Carmine Vitale, son of founder Tony, who today runs the place with his cousin. We are revamping our pizza menu as well. We will be offering some family recipes that we have been holding out on, and I hope you come in to try them. We are going to build a display case for our new and classic pizzas. Anticipate stuffed square pies with escarole and broccoli rabe and also grandma squares, all of which I’m sure will be a tasty and big hit! Wow! 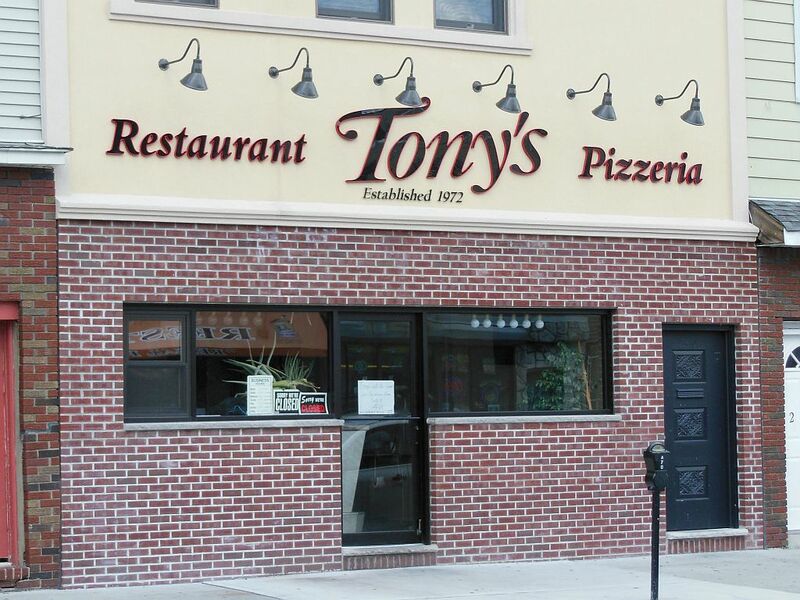 This is really great news, and I for one can’t wait to visit the new Tony’s when I come back to Bayonne later this year! Thanks Carmine for checking in with us. Yeah! I’m glad to hear that its just a remodel! Looking forward to a slice next time i’m in town to visit my folks and get a haircut!